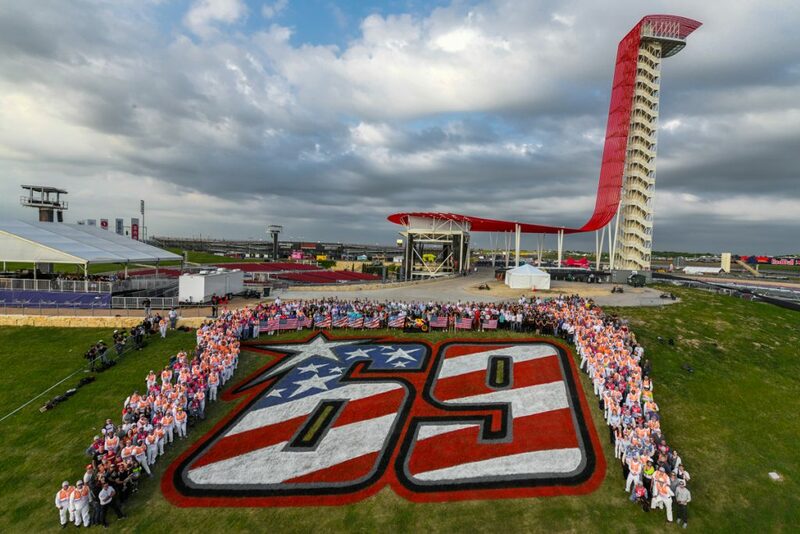 Yesterday at the Circuit of the Americas in Austin, Texas, Nicky Hayden’s number 69 was retired from the MotoGP Championship. Approaching the two-year anniversary of his passing, it was an emotional day for the Hayden Family but also a proud moment. 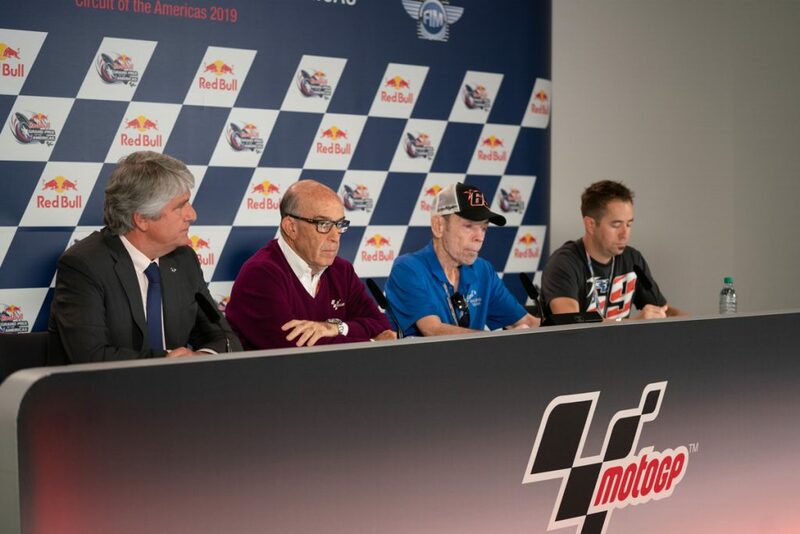 It was a packed room with journalists, many of Nicky’s friends, former competitors and fellow American racing legends, as Dorna CEO Carmelo Ezpeleta and FIM President Jorge Viegas presented the family a plaque commemorating the retirement of his number. That feeling was the same for Nicky. His love for racing motorcycles was not a secret. He lived and breathed it, as did his family. 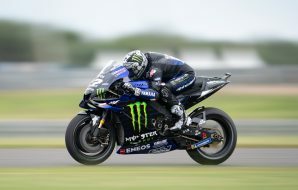 Although he consumed motorcycling racing as a whole he really loved MotoGP. 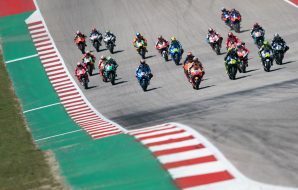 A paddock where he spent 13 years of his career; it was a place he dreamt of reaching, following in the footsteps of other American Grand Prix Champions coming from flat track roots, names like Roberts and Rainey. 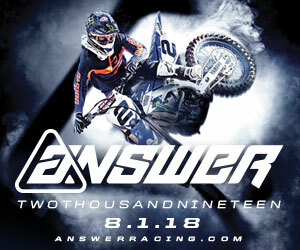 He went on to score three wins and ultimately accomplish that childhood dream of winning the world title in 2006. That dream was shared by, and with, the Hayden family. 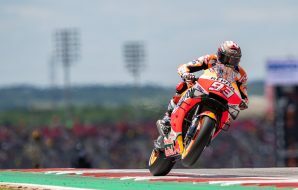 And that honor of retiring a number, something that has only been done for a select few – Kevin Schwantz, Daijiro Kato, Marco Simoncelli, Loris Capirossi and Moto2 rider Shoya Tomizawa – has not been unnoticed by the Hayden family, nor was the turnout to pay their respects. It also meant a lot to the family because 69 is more than just a number, racing with the number 69 is a Hayden Family tradition that spans a couple generations. It wasn’t as though the praise for Nicky as a person, Nicky as a professional, only happened posthumously. When he was honored as a MotoGP Legend at his final MotoGP race back in 2015, there was an overwhelming response. Most was focused on who he was as a person; the nice guy in the paddock and his unwavering professionalism. Those qualities were worthy of acclaim but when asked about it at the time Hayden appreciated the attention but felt it was what you were supposed to do. That was how he was raised. 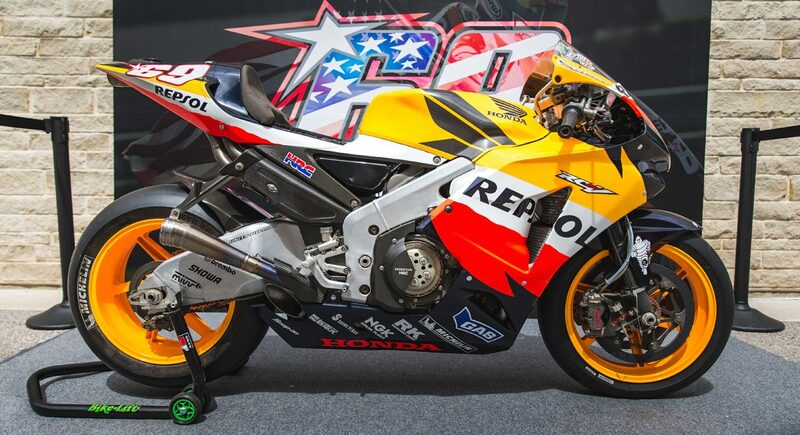 But how would Nicky feel about this honor and all of the outpouring of respect from the paddock and beyond? That’s a hard question to ask when that person is not around to answer for themselves.